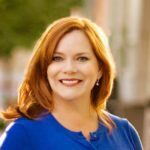 Jill Schafer is a Kentwood REALTOR® and a multi-year winner of the Denver Metro Association Realtor’s (DMAR) Excellence Award and a multi-year winner of 5280 Magazine’s 5 Star Real Estate Award. Less than 7 percent of Denver Metro agents receive the 5 Star Award. She currently serves on the DMAR Trends Committee and is often the real estate expert interviewed by the local media about what is going on in the Denver market.